On March 30th 2015 a long freight train, transporting a variety of goods including lumber and chemicals, wound its way through the state of Mississippi. 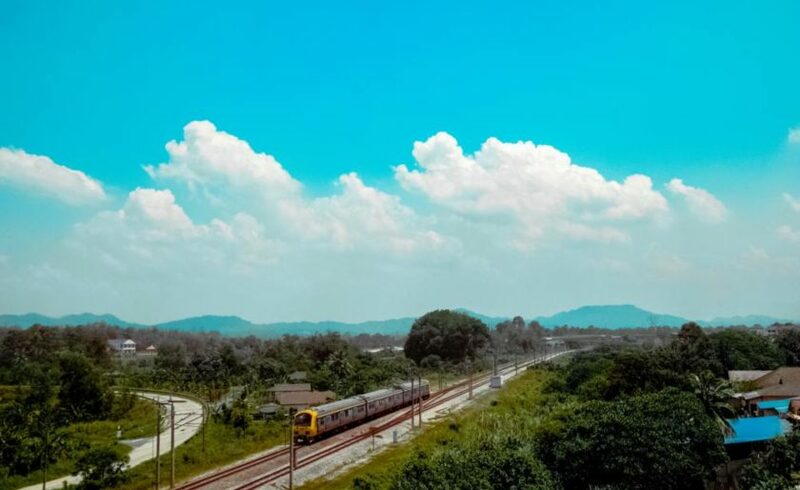 At around 5pm, part of the train failed to negotiate a curved portion of the track in a rural area near Minter City, resulting in the derailment of nine railcars, one of which leaked chemicals onto agricultural farmland and woodlands. 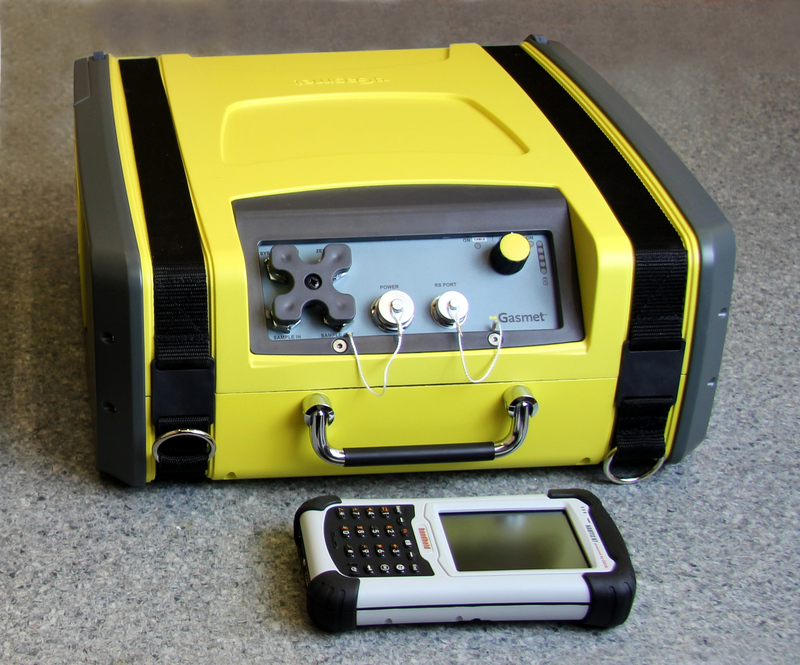 Emergency response and initial remediation activities were undertaken, but the remainder of this article will describe an environmental investigation that was subsequently conducted by Hazclean Environmental Consultants using a portable multiparameter FTIR gas analyzer from Gasmet Technologies. DCPD is a colorless, waxy, flammable solid or liquid, used in many products, ranging from high quality optical lenses through to flame retardants for plastics and hot melt adhesives. As a chemical intermediate it is used in insecticides, as a hardener and dryer in linseed and soybean oil, and in the production of elastomers, metallocenes, resins, varnishes, and paints. DCPD-containing products are also used in the production of hydrocarbon resins and unsaturated polyester resins. 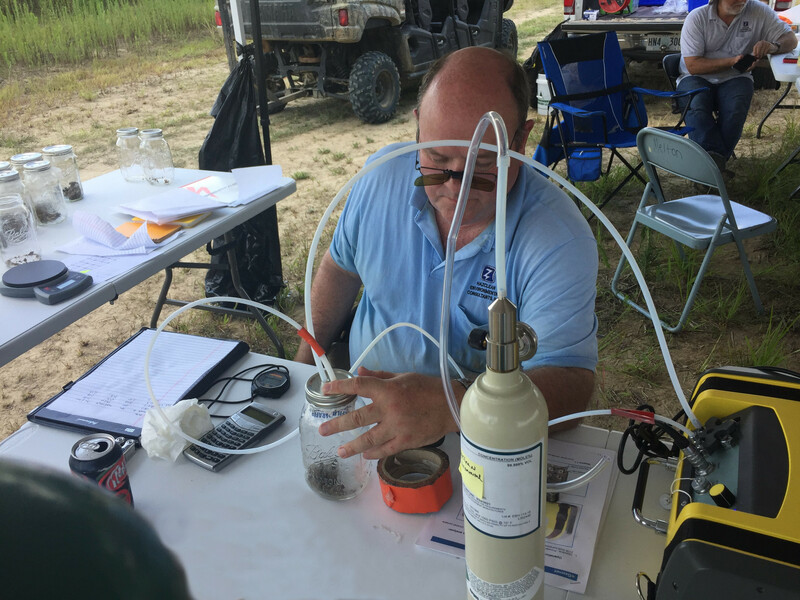 Groundwater and soil samples were collected and analyzed in 2015 and 2016, producing analytical data which confirmed that widespread soil and groundwater contamination still existed at the site. Further remediation was undertaken, but the landowners were extremely concerned about the fate of residual chemicals and contracted Hazclean Environmental Consultants to conduct a further investigation. “The affected land is used for agricultural purposes, producing crops such as soybeans and corn,” says Hazclean President, E. Corbin McGriff, Ph.D., P.E. “Consequently, there were fears that agricultural productivity would be adversely affected and that chemicals of concern might enter the food chain. The operating procedures for the DX4040 indicate a simple, convenient requirement for daily calibration with zero gas, or prior to each monitoring activity. However, in addition to the use of nitrogen as the zero gas, Joseph also employed specialty gas (DCPD) certified for 1 ppm and 5 ppm as a calibration check and a response (Bump Testing) gas. All soil samples were screened with the DX 4040 and those with the highest reading from each boring were sent for laboratory analysis. 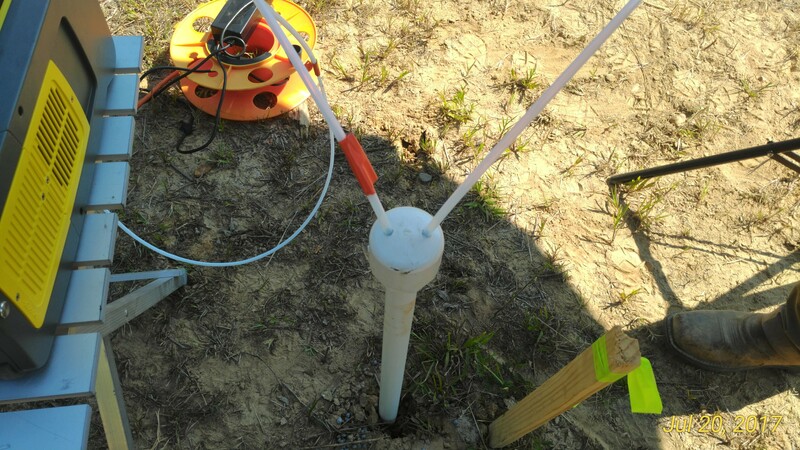 As a result of this investigation is was possible for Hazclean to determine that the release of DCPD in the vapor state, as measured in the vapor monitor wells, is a result of surface and subsurface contamination in the soil and groundwater, and that this contamination will remain in the future.